The website now offers full customization on invitations, stationery and note cards, that can be delivered right to your door. Dominique Schurman, CEO of Schurman Retail Group, today announced that the brand new PAPYRUSOnline.com has launched. The site still has the full line of greeting cards, stationery and gifts, but has added new features such as custom invitations for celebrations and weddings, as well as personalized note cards and more. 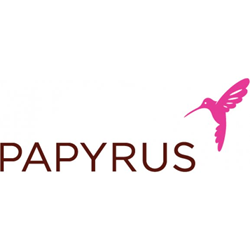 Another brand new feature to the PAPYRUS site is the Perks by PAPYRUS program, where customers can not only receive a free card just for signing up, but also the ongoing “buy three get a fourth card free” program that so many have come to love in PAPYRUS stores. Perks by PAPYRUS also offers special online shipping deals, member exclusives, weekly promotional emails and advance notice on special events. The word PAPYRUS (PAH·PIE·RUS) comes from the earliest form of paper crafted from the papyrus plant. The company was founded in a family kitchen over 60 years ago, inspired by a love of fine art and a vision for products of uncompromising quality from which genuine personal connections could be made. Today, there are more than 200 PAPYRUS retail locations across Canada and the United States offering an ever-expanding array of distinctive and luxurious merchandise, including stationery, custom-printed announcements and wedding invitations, products for entertaining, high-end greeting cards, gift wrap, gift bags, stationery, personalized note cards, journals, unique gift items that combine creativity with flair. Visit PAPYRUSonline.com for product information and store locations.